Ladies getting ready for surgery, here’s a really great video on how to make your own drain pockets for just $4. Got a sewing machine? You can do it and they will come in handy! Also, see my checklist for other things that make recovery a bit easier. 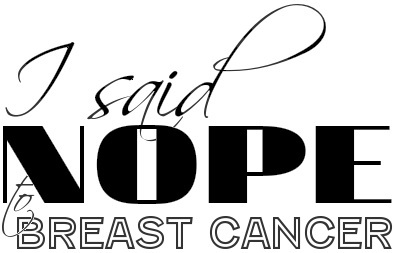 This entry was posted in All and tagged breast reconstruction, Drains, health, Mastectomy, pockets, surgery on November 19, 2014 by nope2BC. Thank you so much for sharing! I have been reading through your blog and am very quickly realizing that we should be FRIENDS! I think we have a similar quirky sense of humor. You’re welcome. I’m looking forward to seeing more awesome vids. I hope that your appt goes well and you get some good news! Wish I would have had one or 2 of those. I had drains in for at least a month each surgery. Did you ever make them? No, I haven’t made these, but I think it’s a great idea! I use a lanyard or wear hoodies inside-out and put bulbs in the pockets.